We just celebrated our 100th day of 1st grade (I think we are a bit behind most elementary schools). Thankfully it fell on a Friday so we were able to really have a lot of fun! 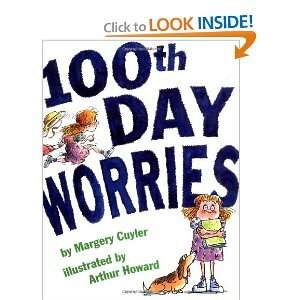 The week before, we read "100th Day Worries" and I proposed the challenge to the kiddos to find a collection of 100 things. Boy were they up for the challenge! The students brought in collections of pennies, silly bands, cereal, jelly beans, etc. The cutest part was there were 5 students that brought in edible collections and they wanted to share it with the class. This is one of the many reasons I love teaching first grade - they are so sweet to each other! 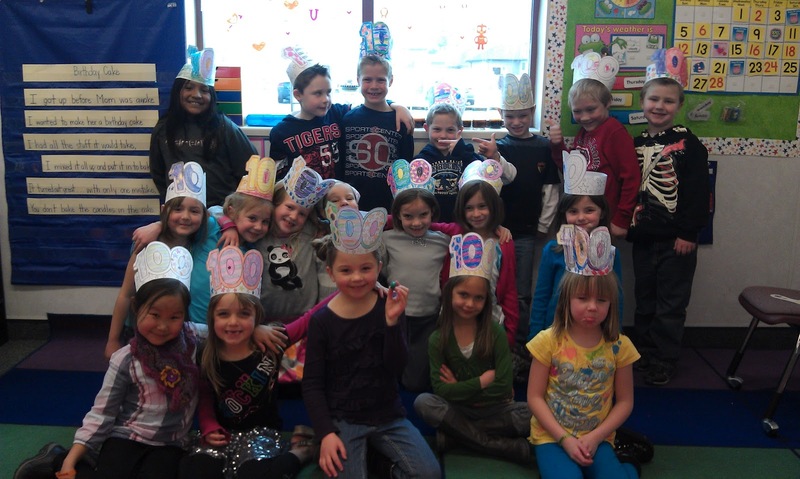 After students traded collections, they counted their goods by putting them into groups of 10. 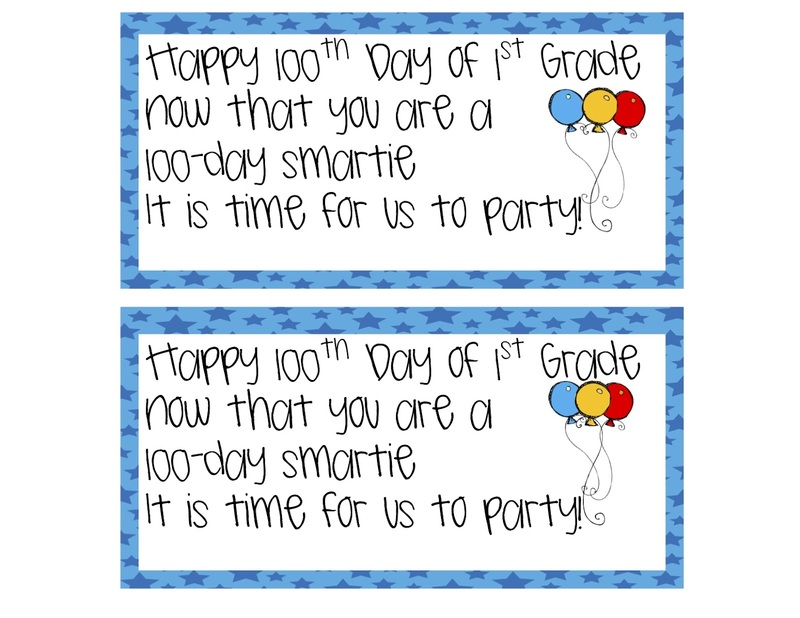 When we finished this activity we decided to go on a mini field trip. I saw on one of the wonderful 1st grade blogs that they had this students estimate where they would end up if they took 100 steps. Clearly first graders have no concept of distance because I had students estimate that we would end up in China, Las Vegas (we are in Utah), one of the student's home, Italy and then finally the voice of reason, one student proposed we would end up on the playground. That we did! 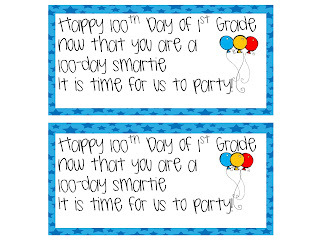 As a parting gift, I gave all of the students this note with a Smartie attached to it. You can download the note here.